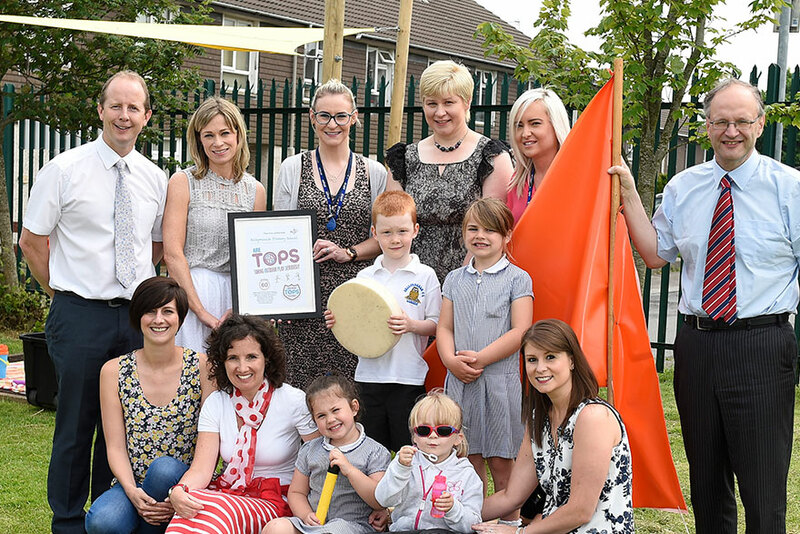 On Wednesday 8th June newly appointed Minister for Education, Peter Weir MLA presented Ballymacash Primary School, Lisburn with the first ever PlayBoard ‘TOPS’ Quality Assurance Award for Outdoor Play in Schools. 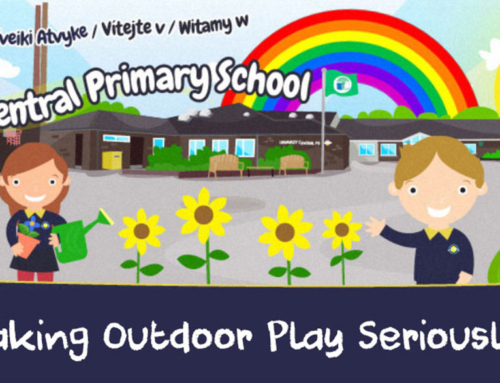 The award, developed and overseen by PlayBoard – the lead organisation for play in Northern Ireland, recognises the significant work and commitment shown by the school to enhancing its outdoor space in order to enhance and broaden play opportunities. 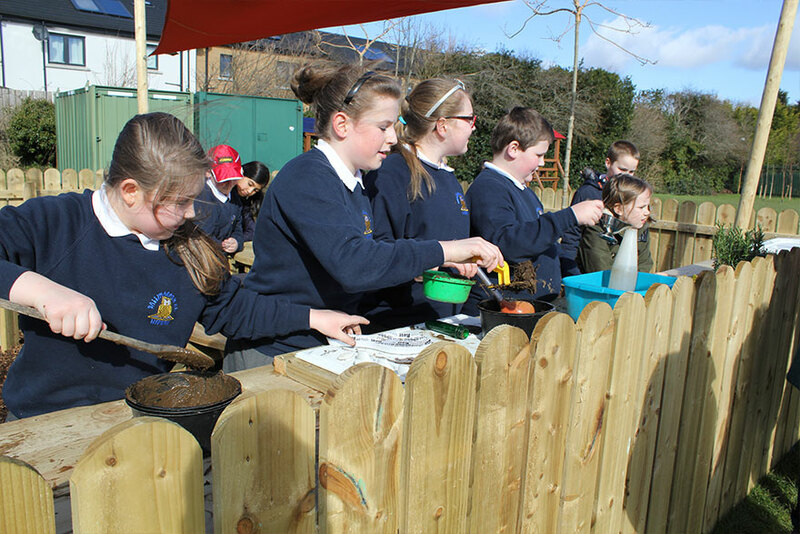 “We in PlayBoard are delighted to award the first ever ‘TOPS ‘ Quality Assurance Award for Outdoor Play in School to Ballymacash Primary School. This award is recognition of the schools commitment to providing children with innovative and creative play opportunities; play opportunities that support and enhance the education and learning process by contributing to skills and knowledge development”. 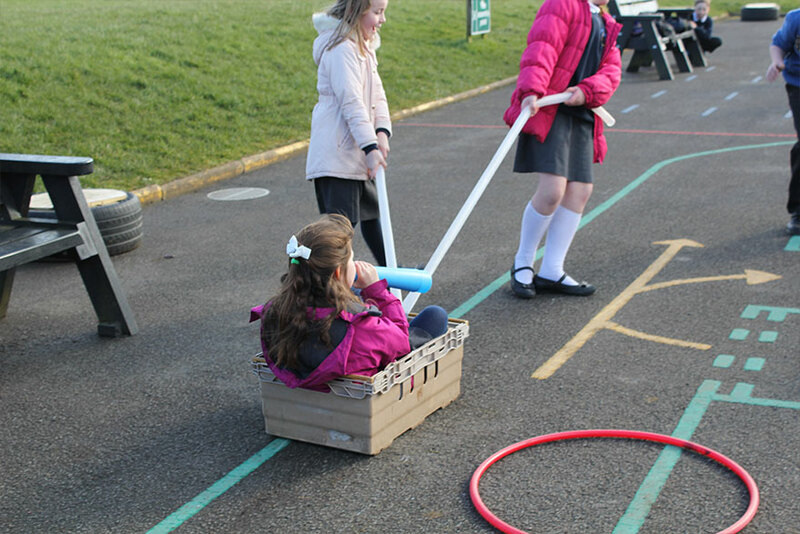 A key element in the transformation made to the outdoor play environment was the work and commitment of the schools Play Working Group. 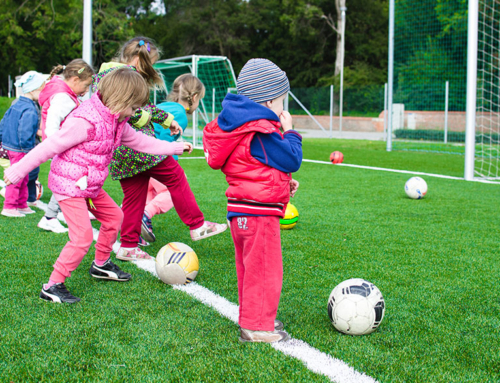 The group, which is made up of a committed team of teaching and non-teaching staff, recognised early on the value outdoor play can bring to the education process. Lisa Armstrong and Lauren Belshaw from the Play Working Group highlighted the impact of the changes adding that the new mud kitchen and outdoor classroom have enhanced outdoor play opportunities and made the outdoor space more visually stimulating for the children. “This is the first time this award has been presented and I am very pleased that Ballymacash Primary School is the first recipient. Play is essential to a child’s development. 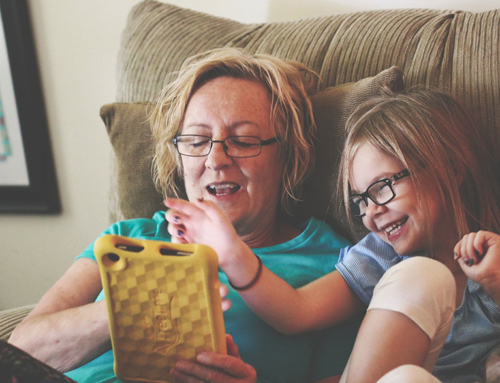 It is how friendships are made and provides an opportunity to learn and exercise in a fun way. Founded in 1790, Ballymacash PS is the oldest educational institution in north Lisburn and is in its 84th year of learning on the current site. The original building, opened in 1931, has been extended and now includes a purpose built Nursery Unit, a library, a music tuition room and a Playgroup. The main school building was opened in 1981 and, over the past 5 years the school has grown from 316 pupils to 378 today. In January 2016 the school was granted an increase in enrolment from 350 to 406 pupils. Also on site there is a dual day nursery unit catering for 52 children and a playgroup. 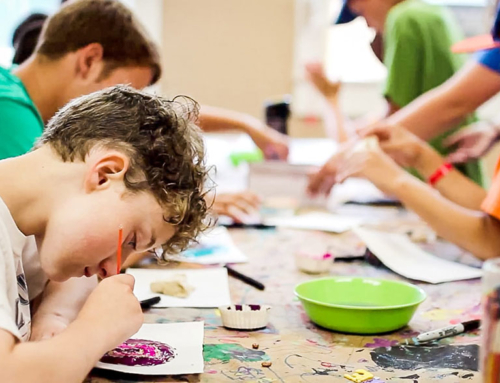 The school have applied to round 3 of the Executives Bright Start funding programme (which falls under the remit of the Department of Education) to establish on-site School Age Childcare provision. The school draws its pupils from a combination of local housing developments and further afield. The school has a wide intake of pupils from both private and social housing – with a current FSM uptake of about 25%. Ballymacash consistently sends 40-50% of their pupils to grammar school. 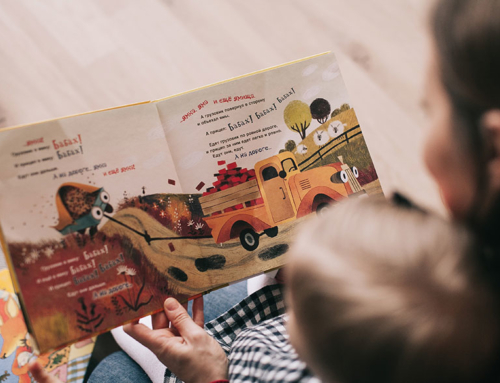 The present staffing consists of the Principal plus eighteen full-time teachers, a Nursery teacher, a Literacy Support teacher, a Numeracy Support/EAL teacher and twelve classroom assistants. As a school community, parents are very supportive of their children’s education raising £7250 last year through PTA and donating £5500 to charity. Paul Givan MLA, recently appointed as Minister for the Department of Communities, currently serves as a member of the School Board of Governors.